Emerson designer Jackie Fraser-Swan had an impressive first showing at NYFW with her S/S '12 line. New York Fashion Week was a hectic/amazing/insane experience as always. I met some of my dearest blogger friends in person, sat front row at Emerson, attended a few parties (one involving copious amounts of sugar) and spotted a slew of celebrities. It always feels nice to return home to some normalcy, though, and I'm glad to get back to regular posting with a photo recap. The IFB Conference on Wednesday featured (l to r) moderator Grechen Cohen (Grechen’s Closet) and panelists Natalie Suarez (Natalie off Duty), Annie Tomlin (BellaSugar), Aimee Song (Song of Style), Kristina Medhus (Pretty Shiny Sparkly), Ari Goldberg (StyleCaster) and model Coco Rocha (Oh So Coco). While Grechen, Kristin and Coco were all incredibly well spoken, it was the straight-talking Ari Goldberg who stole the show. The man is absolutely brilliant, and I know he received at least one Twitter marriage proposal that day. The sugary sweet party I was referring to above was a Fashion's Night Out press event for Rockport at Dylan's Candy Bar. 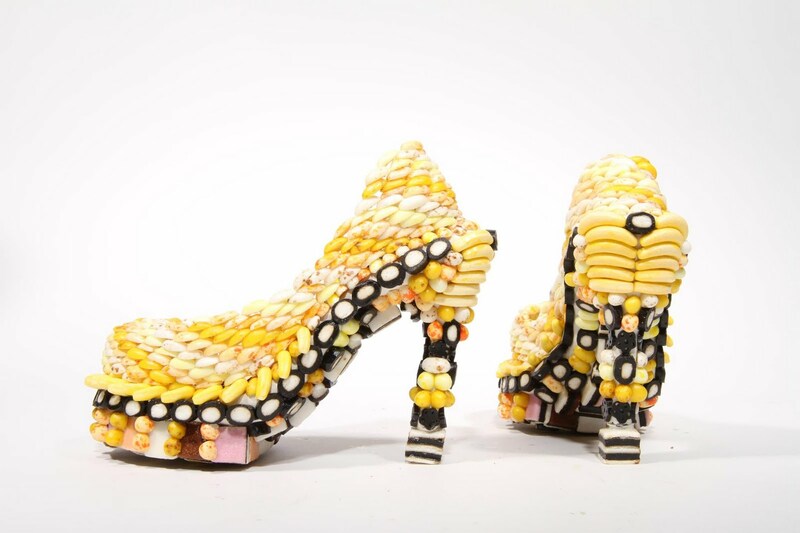 Is there a better combination than sweets and shoes? Not to mention rock candy cocktail stirrers. 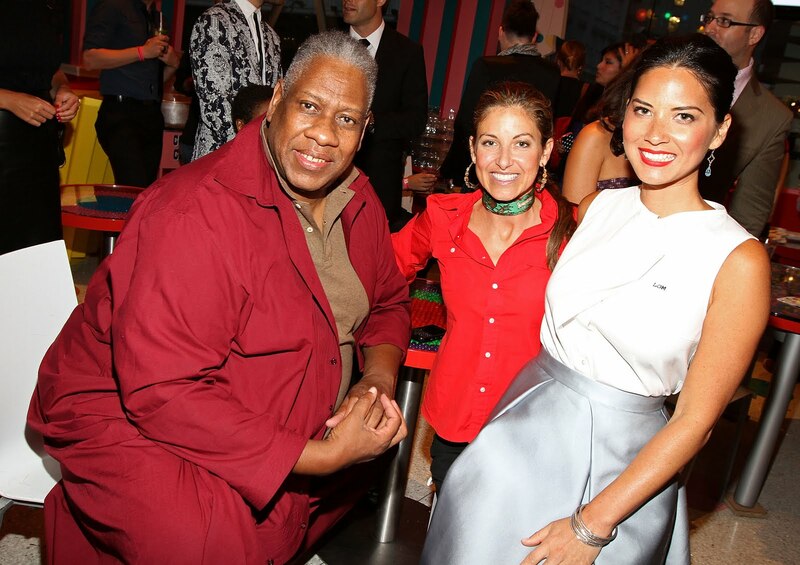 Andre Leon Talley turned up to chat with Dylan Lauren and actress Olivia Munn midway through the evening. He was quite a presence, even in his relatively tame outfit. 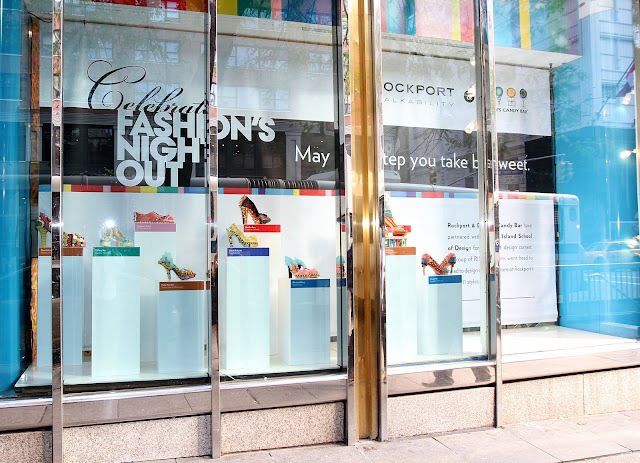 The main purpose of the event, however, was to choose a winner among several RISD students who translated Rockport's footwear into candied creations. Above is winner Sarah Richard's licorice and Jelly Belly adorned version of the Janae Pump. Ahh! It's Betsey Johnson! Yep, that was pretty much my reaction when I saw her at Lincoln Center after the Emerson show. Betsey was sweet enough to chat with anyone who stopped her, while her poor assistant was just trying to keep her on schedule. I also spotted Kelly Cutrone (in all black, of course) as she worked the Emerson show and Justin Timberlake as he scurried from his SUV into Milk Studios. Both sitings were pre-morning coffee, unfortunately, which means I was not on my game enough to snap any photos. Of course, I wouldn't return from New York without gifts, so stay tuned for a giveaway later this week!